‘I Don’t Want Your Honest Feedback’… Julia will be ignoring your advice in Melbourne, Sydney, Perth, Adelaide, Brisbane and Darwin later in 2015. Julia Morris to Co-Host I’m A Celebrity Get Me Out Of Here! Julia Morris And Chris Brown To Host I’m A Celebrity. Congratulations to Alex Hammond, whose novel Blood Witness has been shortlisted for the 2014 Ned Kelly Award for Best First Crime Novel. The Ned Kelly Awards are Australia’s oldest and most prestigious prizes for crime fiction and true crime writing, and the winners of the 2014 awards will be announced at the Brisbane Writers Festival on Saturday September 6. Blood Witness is also under option with Werner Film and TV Productions. The Nine Network have announced that they have picked up hit drama House Husbands, the third series of which is currently on air, for a fourth series. Julia Morris will reprise her role as Gemma Crabb when the show returns in 2015. Our award winning, critically acclaimed writer Shaun Grant is a key writer on the exciting new drama co-produced by Sam Worthington for Foxtel, Deadline Gallipoli. The miniseries, which will be directed by Michael Rymer, stars Rachel Griffiths, Charles Dance and Hugh Dancy and begins shooting in Adelaide this week. For further information, please find The Australian’s full coverage on the upcoming production here. Julia Morris is reprising her role as Gemma Crabb in the third series of award winning drama House Husbands which returns to the Nine Network on Monday 9th June at 9pm. The Fleming Agency is delighted to announce new client Alex Hammond. Critically acclaimed writer and novelist Alex’s debut novel Blood Witness (Penguin Books Australia) was selected as State Library of Victoria Summer Read 2014 and is under option with Werner Film and TV Productions. 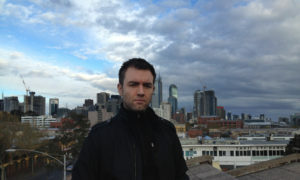 His short film Piñata was nominated for an AFI Award and won Best Animation at the Vancouver Animation Festival. Currently writing his second novel, Dark Legacy (currently due for publication in July 2015), Alex is co-writing a project with director Ben Chessell which is also under option with Werner Film and TV Productions. Andrew Garrick has just completed directing the parody series SBS Does Game of Thrones, the first comedy video series commissioned by SBS Comedy, a new online destination which will serve as a launching pad for Australian comedy. 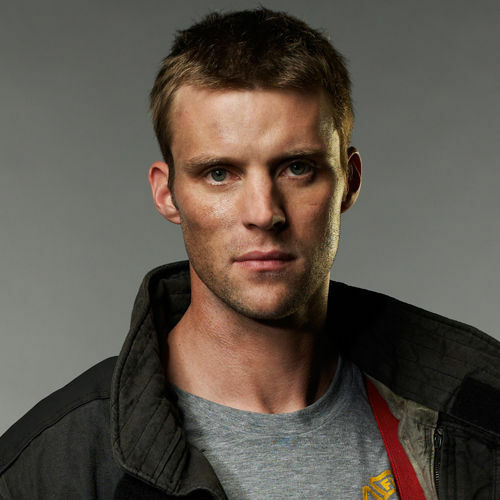 Jesse Spencer has been awarded the Artistic Achievement Award for Acting at the 2014 Chicago International Film Festival Television Awards for his role as Lt Matthew Casey in hit NBC drama Chicago Fire. Julia Morris announced the nominations for the 2014 TV Week Logie Awards alongside Dr Chris Brown this week. Among the nominees were Julia herself for the Silver Logie for Most Popular Actress for her role as Gemma Horne in the Nine Network’s House Husbands, the series also picking up its second consecutive nomination for Most Popular Drama Series, having won its first last year .